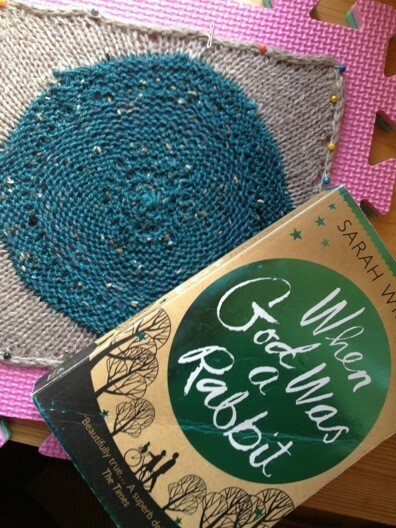 My knitting needles have been busy again…. This is my Ishbel, the beautiful pattern by Ysolda. I had never attempted a triangular shawl before and it was also only my second attempt at top-down shawl construction. 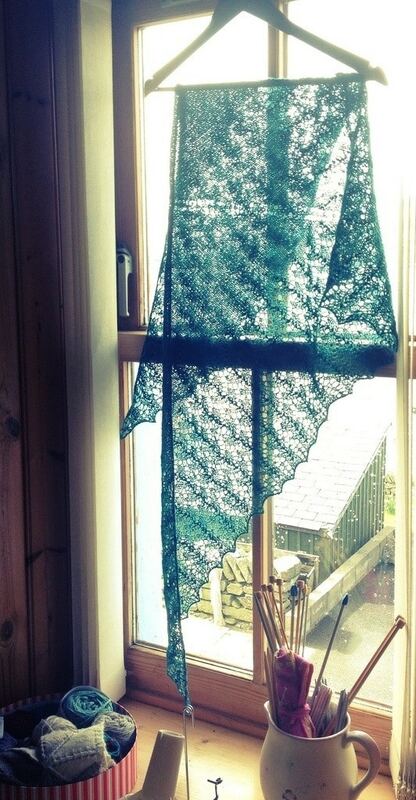 I can understand why 12269 people on Ravelry have knit Ishbel – it’s a simple garment, yet totally elegant. 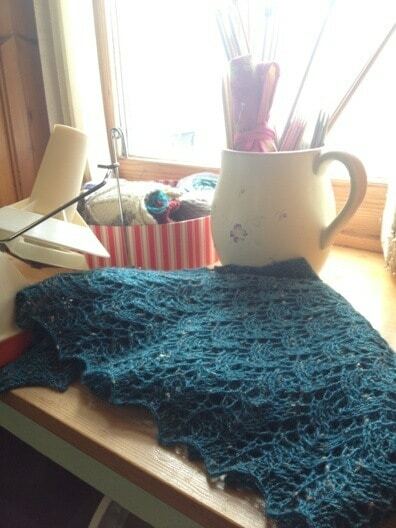 I knit it in Na Dannsairean 4ply – BFL with neps, in a very Arctic blue – from Helen of Ripples Crafts. I thought I was being very clever & had calculated enough yarn to knit the larger StSt triangle with the shorter lace repeat…. Thankfully Helen had a small quantity of ‘Winter Seas’ left over from a project of her own and I managed to continue the repeats for the large size shawl. I am absolutely thrilled with it! The wool has a gorgeous lustre and it shows off the vine lace a treat. I often think some beautifully dyed yarns can compete with lace patterns, but not here, not at all. I love the symmetry of the triangular shawl, it’s really pleasing on the eye as well as it is to knit up. I don’t know why I avoided them before! 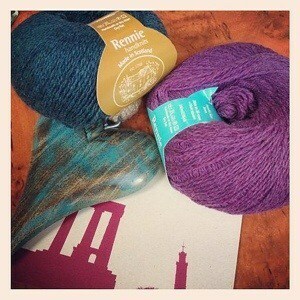 I foresee more in my knitting future! Talking of symmetry, I was knitting up some of the odds & ends into squares and I couldn’t help thinking there was something familiar about one. It wasn’t until I passed my desk this morning that I realised what it was. I often think colours can follow or even lead you. I had a day shopping in Edinburgh last summer and when I emptied the bag I found everything I had bought was blue or purple! Do you find inspiration comes from unusual places? Or do you often see a symmetry after the fact?